Gail started with Harcourts in 2008 specialising in properties in the Chittering and Bullsbrook area. Gail’s knowledge of the area means she’s a proven asset to those seeking to sell their home for a premium price. Her client-focused approach to real estate means that buyers and sellers can also be assured of receiving outstanding service. Nominated numbers times for internal and external awards and achieving a spot in the Top 5 Sales Representatives in Harcourts Western Australia, Gail is dedicated to her role and the brand. Dedicated to the Chittering and Swan Valley area, Gail is a regular contributor to local schools, sporting clubs and groups. In 2017, Gail completed her Real Estate License. In 2018, Gail achieved a personal goal and became a business owner in partnership with Harcourts Alliance Joondalup and opened Harcourts Alliance Vines to Valley. Well known for being warm and personable, Gail’s communications skills are such that every client receives constant honest and transparent feedback and she takes pride in the reputation she’s developed as trusted advisor. Bronte comes from a farming and equestrian background and has lived in the Bindoon area for 9 years. She is an active community member and prides herself upon her knowledge of the local community and property market. Bronte’s bubbly personality and exceptional customer service skills make her approachable to anybody wanting a chat. She is an extremely hardworking and energetic person who goes above and beyond for every one of her clients. Bronte believes that creating strong relationships is key to a successful business transaction, making her trustworthy and transparent. Outside of real estate, Bronte likes to teach children to ride on her horses, spend time with her family and two dogs. Kristy began her real estate career in 2014 and joined Harcourts Alliance when she was offered a position in 2015. With her bubbly personality and dedication to her role in sales, she quickly became the groups Rising Star. With a keen interest in Property Management and gaining valuable knowledge in Sales an opportunity arose for Kristy to join the Harcourts Alliance Valley to Vines Team in the role of Business Development. She understands the importance of creating growth in the business and working within a passionate team providing excellent support. With a keen focus on customer service Kristy, listens carefully to the individual needs of her clients and strives to create clients for life. Having formally lived in the Swan Valley for over 14 years, Kristy values the unique lifestyle on offer and maintains strong connections to the local community. With family and friends in the area you’ll often find her there relaxing and socialising in her spare time. Kristy’s skills and knowledge to give honest and practical advice, coupled with Harcourts Alliance’s superior marketing and management systems, will ensure that you have the best team behind you every step of the way. 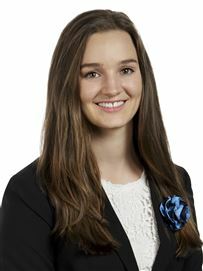 With a strong background in real estate Hayley brings many attributes to the Harcourts Alliance Valley to Vines Team. Her strong focus on client services and industry knowledge comes from her experience being a part of an award winning property management team. She whole heartedly understands the needs of her clients and prides herself on her ability to get things done. 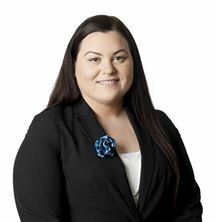 Hayley commenced her real estate career as receptionist in 2005 before progressing to a sales administration role. When the opportunity arose to join the Property Management team as an assistant she jumped at the chance and has proven herself with her clients to be meticulous and professional whilst managing a busy portfolio. Hayley has gone on to achieve recognition in her field achieving Property Manager of the year in 2015. When Hayley is not looking after her clients and supporting the Harcourts Alliance Valley to Vines team you’ll find her walking her dogs and spending quality time with family and friends. One of a kind, Unique home!